Great civilizations and religions began in the Arabian peninsula and the region we know as the Middle East. Stretching from Western Europe to the Asian lands of the Far East, the area is home to some of the world's most remarkable Islamic architecture and heritage sites. Tragically, the Middle East has also suffered political unrest, war, and religious conflict. Soldiers and relief workers who travel to countries such as Iraq, Iran, and Syria witness the heartbreaking rubble of war. However, many treasures remain to teach about Middle Eastern history and culture. Visitors to the Abbasid Palace in Baghdad, Iraq learn about Islamic brickwork design and the curved shape of the ogee. 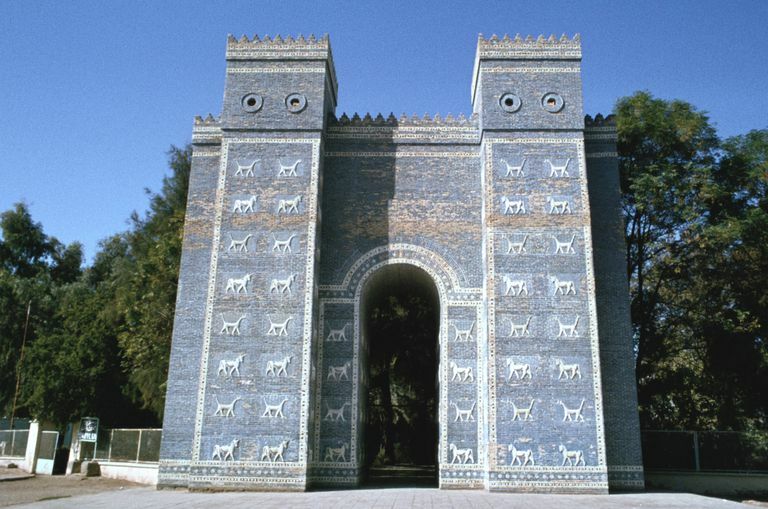 Those who walk through the pointed arch of the recreated Ishtar Gate learn about ancient Babylon and the original gate, scattered among European museums. The relationship between East and the West has been tumultuous. Exploring the Islamic architecture and historic landmarks of Arabia and other parts of the Middle East can lead to understanding and appreciation. Nestled between the rivers Tigris and Euphrates (Dijla and Furat in Arabic), modern Iraq lies on fertile land that includes ancient Mesopotamia. Long before the great civilizations of Egypt, Greece, and Rome, advanced cultures flourished in the Mesopotamian plain. Cobblestone streets, city building, and architecture itself have their beginnings in Mesopotamia. Indeed, some archaeologists believe that this region is the site of the Biblical Garden of Eden. Because it lies at the cradle of civilization, the Mesopotamian plain contains archaeological and architectural treasures that date back to the beginning of human history. In the busy city of Baghdad, exquisite medieval buildings tell the stories of many different cultures and religious traditions. About 20 miles south of Baghdad are the ruins of the ancient city of Ctesiphon. It was once the capital of an empire and became one of the Silk road cities. The Taq Kasra or Archway of Ctesiphon is the only remnant of the once glorious metropolis. The arch is thought to be the largest single-span vault of unreinforced brickwork in the world. Built in the third century A.D., this grand palace entrance was constructed of baked bricks. About 50 miles south of Baghdad in Iraq are the ruins of Babylon, once the ancient capital of the Mesopotamian world well before the birth of Christ. When Saddam Hussein rose to power in Iraq, he conceived a grandiose scheme to rebuild the ancient City of Babylon. Hussein said that Babylon's great palaces and the legendary hanging gardens (one of the seven wonders of the ancient world) would rise from dust. Like the powerful King Nebuchadnezzar II who conquered Jerusalem 2,500 years ago, Saddam Hussein intended to rule over the world's greatest empire. His ambition found expression in often pretentious architecture used to awe and intimidate. Archaeologists were horrified as Saddam Hussein rebuilt on top of ancient artifacts, not preserving history, but disfiguring it. Shaped like a ziggurat (stepped pyramid), Saddam's Babylonian palace is a monstrous hill-top fortress surrounded by miniature palm trees and rose gardens. The four-story palace extends across an area as large as five football fields. Villagers told news media that a thousand people were evacuated to make way for this emblem of Saddam Hussein's power. The palace Saddam built was not merely large, it was also ostentatious. Containing several hundred thousand square feet of marble, it became a showy confection of angular towers, arched gates, vaulting ceilings, and majestic stairways. Critics charged that Saddam Hussein's lavish new palace expressed exuberant excess in a land where many died in poverty. On the ceilings and walls of Saddam Hussein's palace, 360-degree murals depicted scenes from ancient Babylon, Ur, and the Tower of Babel. In the cathedral-like entryway, an enormous chandelier hung from a wooden canopy carved to resemble a palm tree. In the bathrooms, the plumbing fixtures appeared to be gold-plated. Throughout Saddam Hussein's palace, pediments were engraved with the ruler's initials, "SdH." The role of Saddam Hussein's Babylonian palace was more symbolic than functional. When American troops entered Babylon in April 2003, they found little evidence that the palace had been occupied or used. After all, Maqar-el-Tharthar at Lake Tharthar, where Saddam entertained his loyalists, was a much larger place. Saddam's fall from power brought vandals and looters. The smoked glass windows were shattered, the furnishings removed, and architectural details — from faucets to light switches — had been stripped away. During the war, Western troops pitched tents in the vast empty rooms at Saddam Hussein's Babylonian palace. Most soldiers had never seen such sights and were eager to photograph their experiences. Many architectural treasures of Iraq have been jeopardized by regional turmoil. Military facilities were often placed dangerously close to great structures and important artifacts, making them vulnerable to blasts. Also, many monuments have suffered due to looting, neglect, and even helicopter activity. Shown here is a communal structure made entirely of local reeds by the Madan people of southern Iraq. Called the mudhif, these structures have been built since before Greek and Roman civilization. Many of the mudhif and indigenous marshes were destroyed by Sadam Hussein after the 1990 Gulf War and rebuilt with the help of the U.S. Army Corps of Engineers. Whether or not the wars in Iraq could be justified, there is no doubt that the country holds priceless architecture that is in need of preservation. The Saudi Arabian cities of Medina and Mecca, the birthplace of Muhammad, are Islam's holiest cities, but only if you are a Muslim. Checkpoints en route to Mecca ensure that only the followers of Islam enter the holy city, although all are welcome in Medina. Like other Middle Eastern countries, however, Saudi Arabia is not all ancient ruins. Since 2012, the Royal Clock Tower in Mecca has been one of the tallest buildings in the world, rising to 1,972 feet. The city of Riyadh, the capital of Saudi Arabia, has its share of modern architecture, such as the bottle-opener-topped Kingdom Centre. Look to Jeddah, however, to be the port city with a view. About 60 miles west of Mecca, Jeddah is home to one of the tallest buildings in the world. The Jeddah Tower at 3,281 feet is almost twice the height of One World Trade Center in New York City. It could be argued that Islamic architecture began when the Islamic religion began — and it could be said that Islam began with the birth of Muhammad around 570 A.D. That's not that ancient. Much of the most beautiful architecture in the Middle East is Islamic architecture and not in ruins at all. For instance, the Agha Bozorg mosque in Kashan, Iran is from the 18th century but exhibits many of the architectural details we associate with Islamic and Middle Eastern architecture. Note the ogee arches, where the highest point of the arch comes to a point. This common arch design is found throughout the Middle East, in beautiful mosques, secular buildings, and public structures such as the 17th century Khaju Bridge in Isfahan, Iran. The mosque in Kashan shows ancient techniques of building such as the extensive use of brickwork. Bricks, an age-old building material of the region, are often glazed with blue, imitating the semi-precious stone lapis lazuli. Some brickwork of this time period can be intricate and ornate. The minaret towers and golden dome are typical architectural parts of a mosque. The sunken garden or court area is a common way of cooling large spaces, both holy and residential. Windcatchers or bâdgirs, tall open towers usually on roofs, provide additional passive cooling and ventilation throughout the hot, arid lands of the Middle East. The tall badgir towers are opposite the minarets of the Agha Bozorg, on the far side of the sunken courtyard. The Jameh mosque of Isfahan, Iran expresses many of the same architectural details common to the Middle East: the ogee arch, the blue glazed brickwork, and the mashrabiya-like screen ventilating and protecting an opening. A dakhma, also known as a Tower of Silence, is a burial site of the Zoroastrians, a religious sect in ancient Iran. 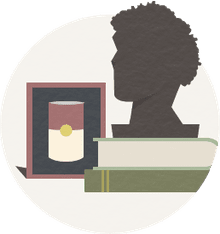 Like funeral rites around the world, Zoroastrian funerals are steeped in spirituality and tradition. Sky burial is a tradition where the bodies of the deceased are placed communally in a brick-made cylinder, open to the sky, where birds of prey (e.g., vultures) could quickly dispose of the organic remains. The dakhma are part of what architects would call "the built environment" of a culture. This stepped pyramid from ancient Elam is one of the best preserved ziggurat constructions from the 13th century B.C. The original structure is estimated to have been twice this height, with five levels supporting a temple on the top. "The ziggurat was given a facing of baked bricks," reports UNESCO, "a number of which have cuneiform characters giving the names of deities in the Elamite and Akkadian languages." The ziggurat stepped design became a popular part of the Art Deco movement in the early 20th century. From Aleppo in the north to Bosra in the south, Syria (or what we call the Syrian region today) holds certain keys to the history of architecture and construction as well as urban planning and design — beyond the Islamic architecture of mosques. The old city of Aleppo on top of the hill shown here has historic roots dating back to the 10th century B.C., before Greek and Roman civilizations flourished. For centuries, Aleppo was one of the stopover points along the Silk Roads of trade with China in the Far East. The present Citadel dates back to Medieval times. "The encircling ditch and defensive wall above a massive, sloping, stone-faced glacis" makes the ancient city of Aleppo a fine example of what UNESCO calls "military architecture." The Erbil Citadel in Iraq has a similar configuration. To the south, Bosra has been known to ancient Egyptians since the 14th century B.C. Ancient Palmyra, a desert oasis "standing at the crossroads of several civilizations," contains ruins of ancient Rome, important to architectural historians as the area exemplified the fusion of "Graeco-Roman techniques with local traditions and Persian influences." In 2015, terrorists occupied and destroyed many of the ancient ruins of Palmyra in Syria. Petra in Jordan is also a UNESCO World Heritage site. Built during Greek and Roman times, the archaeological site combines remnants of Eastern and Western design. Carved into the red sandstone mountains, the strikingly beautiful desert city of Petra was lost to the Western world from about the 14th century until the early 19th century. Today, Petra is one of the most visited destinations in Jordan. Tourists are often astounded by the technologies used to create architecture in these ancient lands. Further north in Jordan is the Umm el-Jimal archaelogy project, where advanced building techniques with stone is reminiscent of the 15th century Machu Picchu in Peru, South America. Often called the cradle of civilization, the Middle East is home to historic temples and mosques. However, the region is also known for innovative modern construction. Dubai in the United Arab Emirates (UAE) has been a showplace for innovative buildings. The Burj Khalifa shattered world records for building height. Also noteworthy is the National Assembly building in Kuwait. Designed by the Danish Pritzker Laureate Jørn Utzon, the Kuwait National Assembly suffered war damage in 1991 but has been restored and stands as a landmark example of modernist design. What the U.S. may call the "Middle East" is not by any means an official designation. Westerners don't always agree on which countries are included. The region we call the Middle East can reach far beyond the Arabian peninsula. Once considered part of the "Near East" or the "Middle East," Turkey is now widely described as a nation in the Middle East. Northern Africa, which has become important in the region's politics, is also described as Middle Eastern. Kuwait, Lebanon, Oman, Quatar, Yemen, and Israel are all countries of what we call the Middle East, and each has its own rich culture and breathtaking architectural wonders. One of the oldest surviving examples of Islamic architecture is the Dome of the Rock Mosque in Jerusalem, a holy city for Jews, Christians, and Muslims. Additional Getty Image Credits: Windcatcher Towers of the Agha Bozorg Mosque by Eric Lafforgue/Art in All of Us/Corbis; The Jameh Mosque of Isfahan, Iran by Kaveh Kazemi; Maqar-el-Tharthar, the Green Palace by Marco Di Lauro; The Kingdom Centre in Riyadh by David Deveson; Umm el-Jimal Stonework in Jordan by Jordan Pix; The Erbil Citadel in Iraq by Sebastian Meyer/Corbis; Khaju Bridge in Isfahan by Eric Lafforgue/Art in All of Us; Brickwork in Damgha by Luca Mozzati/Archivio Mozzati/Mondadori Portfolio; Badgir in Yazd by Kaveh Kazemi; Abbasid Palace by Vivienne Sharp; The Middle East Area Seen From Space by maps4media. What Countries in the Middle East Have Nuclear Weapons?